It was Mother’s Day yesterday and although we celebrated with a sushi dinner – my sister in law hasn’t eaten sushi for almost 10 months during her pregnancy and now that the baby is born, she’s craving for raw fish – traditionally its a day celebrated over brunch! And one of my favourite brunch places (there are many!) 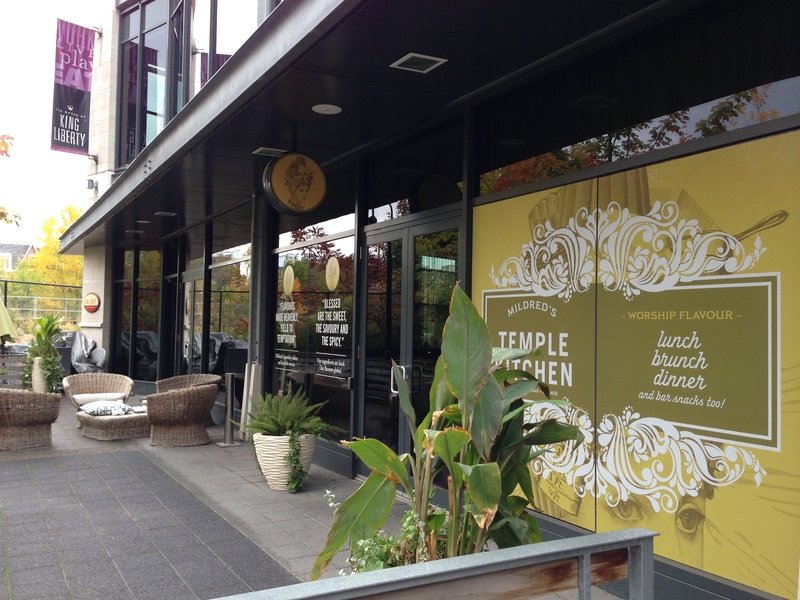 is Mildred’s Temple Kitchen. Its a spin-off restaurant from a previous place that was known as “Mildred Pierce”, which is no longer there. 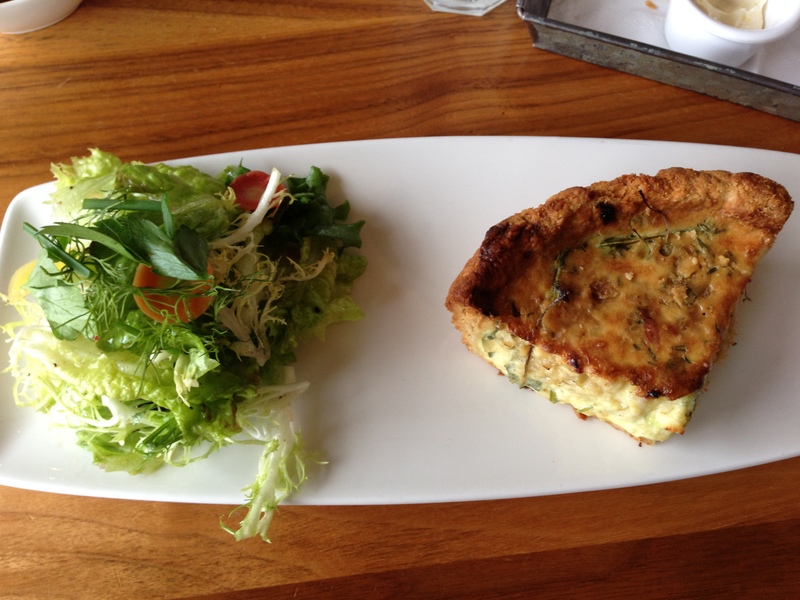 The space is light and airy with large windows for the sun to shine through, perfect atmosphere for brunch! You know how much I love afternoon tea so you know my friends and I had to have the platter of currant scones and buttermilk biscuits! To die for! 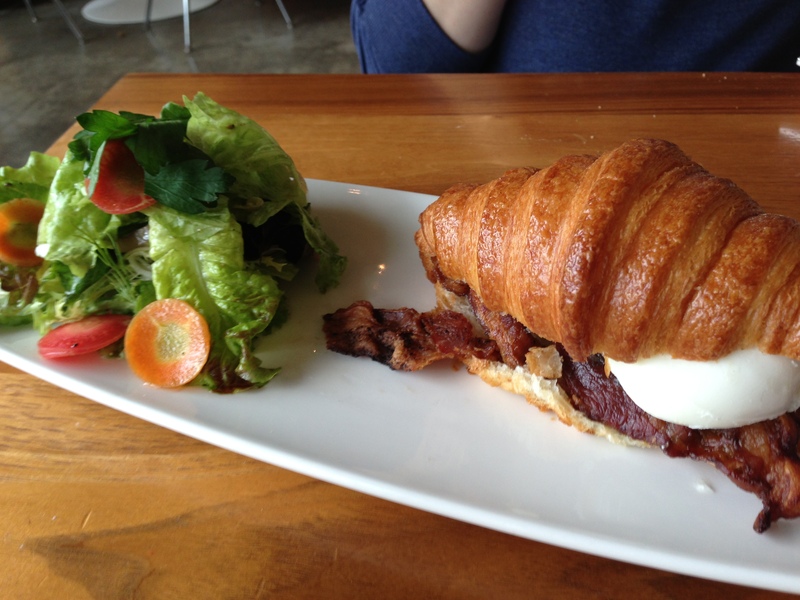 Then the dishes started to come: breakfast sandwich on a croissant, savoury tart and fried eggs and bacon. What I like about these is that they aren’t your typical brunch items with lots of home fries, sausage, toast etc. All served with light salads, it was a great brunch meal! 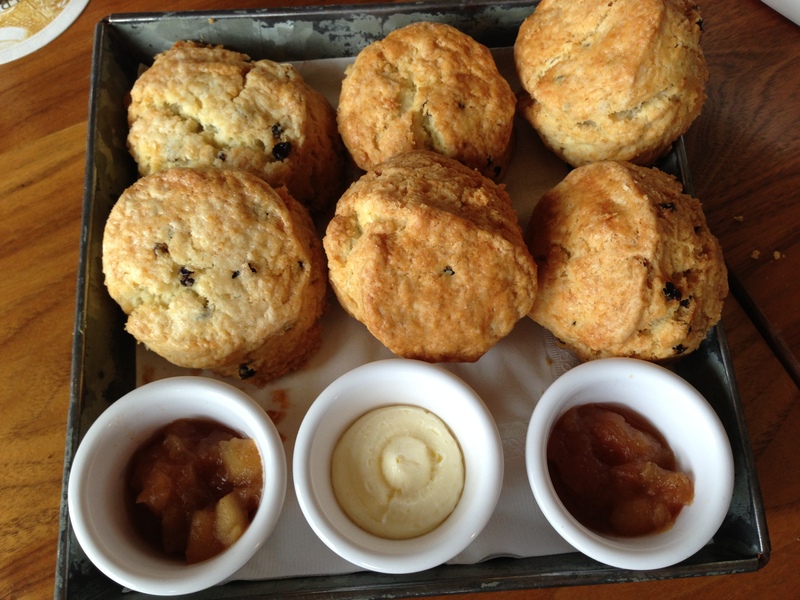 Baked inhouse – fresh basket of scones and bicsuits! 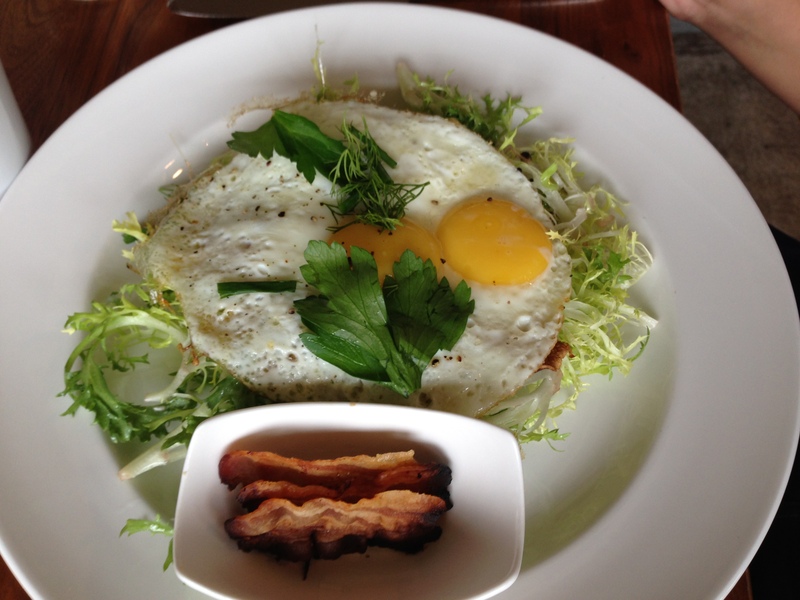 Veda’s Choice – a fancy and delicious breakfast sandwich.